ACR have over 30 years of industry experience in food processing and manufacturing, both their heritage and technical knowledge grow from strength to strength each year.Their multidisciplinary company spans Mechanical, Electrical and Electronic Engineering – Mechatronics, and they're known as a ‘one stop shop’ for enhancing and optimising production lines within a range of sectors. ACR's existing website wasn't up to date, and needed modernising and freshening up to attract new clients. We created a new site for ACR which showcased in detail what they do, what benefits they provide to customers and while maintained their professional look and feel. 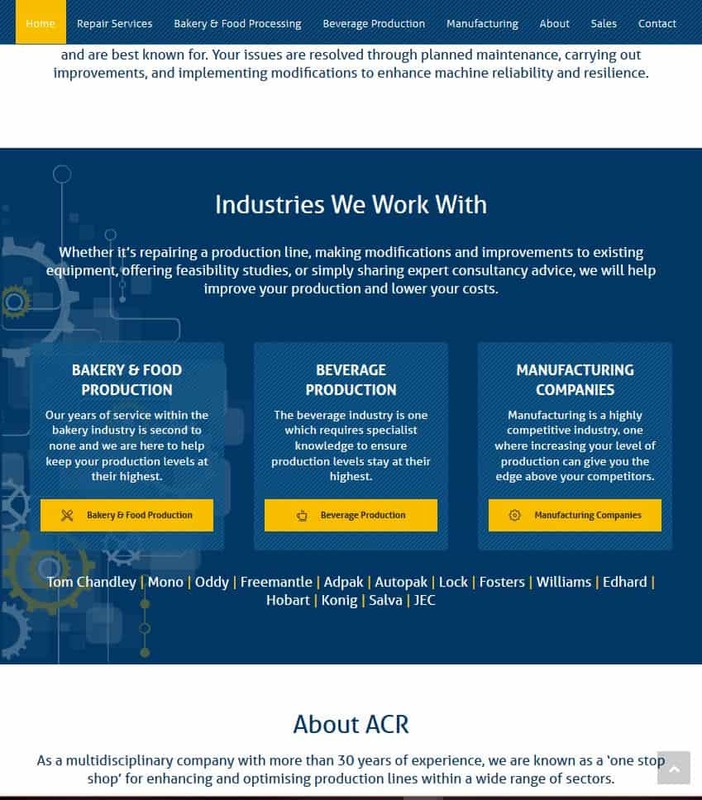 ACR saw a significant increase of business directly related to the creation of their new site.